I have a 14 year old daughter who is severely autistic. This has been, in ways, the defining statement of my life. My daughter is severely autistic. This morning I was reading at Real Learning and found this video : What Kind of World Do You Want . This brought up so many conflicting emotions for me. Because this sentence is true and yet it is NOT true for every child. 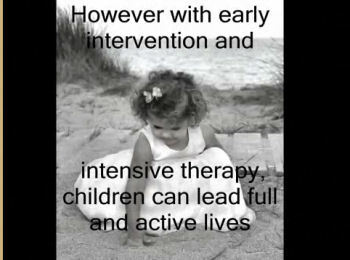 There are some, I dare say many autistic children, while they are helped with early intervention and intensive therapy, are not brought up to the level where they can lead “full and active lives”. As a parent of an autistic child I latched on very deeply to the idea that if I did enough Rachel would have a normal life. I was offered more hope than possible every year. Finally the hope hand-outs stopped but not until Rachel was in Jr high. I think all parents hold onto a certain amount of guilt when it comes to “doing enough” for their children. Everything from baby enrichment classes to SAT prep and sports, and dance, and art, and camp. Homeschool parents get to pick up a special type of guilt being responsible for our childrens’ entire education. We can all look back at our “parent-of-the-year” moments where we over reacted or said the wrong thing. Our childrens’ failures in a very real sense feel like our parenting failures. But with autism there is a deeper sense of failing. When every story about autism published is the miracle that shows an autistic child that with love and dedication the parents where able to find the “cure” and now their child is a happy fully functioning teen or adult. Where did I go wrong? What more could I have done? I have failed my child. My child is not cured the failure is therefore mine. My daughter is 14 and still severely autistic. Did we not try hard enough? Did we not do enough? If Rachel was dealing with Down’s Syndrome would I be looking at myself in the mirror asking these questions? Probably not, because it is well acknowledged that Down’s is a genetic disorder, there is no miracle cure. But with autism, the causes are so elusive and the hope built up so high that self recrimination becomes very reasonable. My thought is that as autism is more studied, as the “bubble” of autism ages that we will see many many more cases where early intervention did NOT fix it. Where parents did all they could and still they are looking at the teen years with autism as a very real part of their child’s life. I don’t exactly resent those parents who have found success with early intervention and intensive therapy, but they speak very loudly and the world likes to listen to them. Those of us with sadder stories speak quietly or not at all. But we need to speak. We need to start speaking to one another and to the media at large. Just as our children needed money and research and acceptance with their diagnoses and early intervention they also need as adults. They need safe housing, they need law enforcement to be trained so that tragedies are avoided. We need laws changed so that our adult autistic children can receive funds for their housing and treatment without parents loosing their parental rights and the right to advocate for their children or make decisions about their lives. These are problems, real problems, they need addressed every bit as much as early treatment. I definitely remember running around like a mad thing trying to do everything I possibly could, burn out and reality was inevitable. I don’t think any parent can ever to ‘enough’ we just have to do the best we can. I absolutely agree! I have a 13 yo daughter with autism and I had the same mixed emotions. I recognize these parents’ desperation and know that early intervention is important, but it does not necessarily lead to a full and active life. Many of us fell into the den of autism intervention and lost days, months, years of our life as we devoted every waking hour to “repair” our child. This cost us dearly in terms of loss of family life, loss of income, and sometimes loss of marriage all in the quest for that full and active life. Each milestone leaves you with a feeling of despair as you watch what she still can’t do and the continued hope is like a slow death. Eventually you realize that you are exhausted, that the rest of your famly has suffered and all you can do is take one day at a time. Looking at the future is too painful, so you don’t do it. But, you must plan for the inevitable and so you gather your strength and replace that energy you spent on repair with advocacy. The world needs to see the tragedy of this disorder and not be led into a false sense of hope with early intervention. It is helpful, but it is not the answer. As adults they will need as much if not more and that will cost us all. We have four kids – two neurotypical girls aged 11 and two and two blind and autistic children aged 5 and 2 – each one of them lacks in some way the quality of life I crave for them, whether it be for more attention, more one on one time, more interactive social time – it never quite adds up to enough. I wish I coudl release this driving need inside me – accept I cant do it all but it seems to be a part of my psyche now, something inevitable and permanent. The journey is long and hard and the rewards ARE great, but the pain is so significant too..
You share what most mothers I believe feel. The autism intervention warriors out there have led to a huge cottage industry of false promises to ‘cure’ the child with autism. As a parent of three children with ASD (severe to high functioning) and a therapist (IBI), I have seen too many moms burn out because they ‘are not doing enough’ – blaming themselves for their child’s limitations. Just like any child however, there seems to be a limit to ability.. you seem to be able to only take them so far. What needs to be done then is for us to refocus and maintain what has been gained, and prepare for the future given the limitations of the present. I applaud all mothers, but mom’s of children/youth/ adults with autism, often face obstacles that most people could not imagine. You are currently reading Autism hope and despair and everything in between at Simply Catholic.